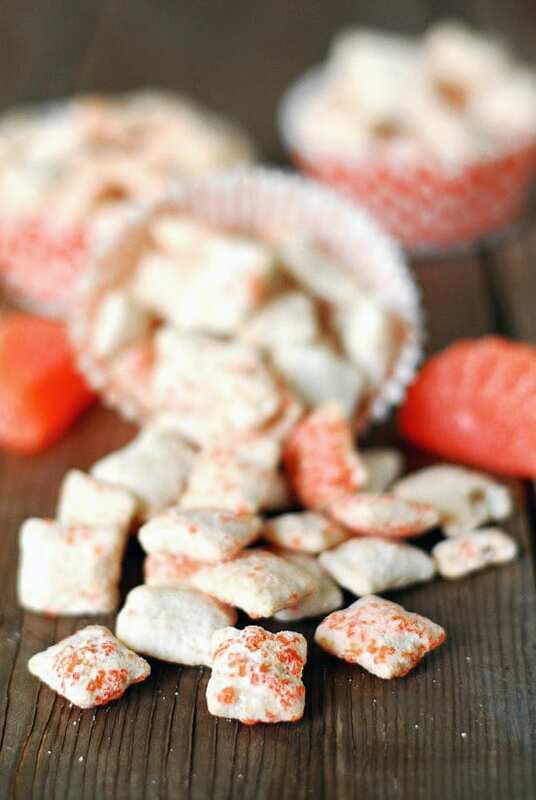 This Orange Creamsicle Puppy Chow is sweet and crunchy with a touch of citrus. It is a delicious summer dessert idea. 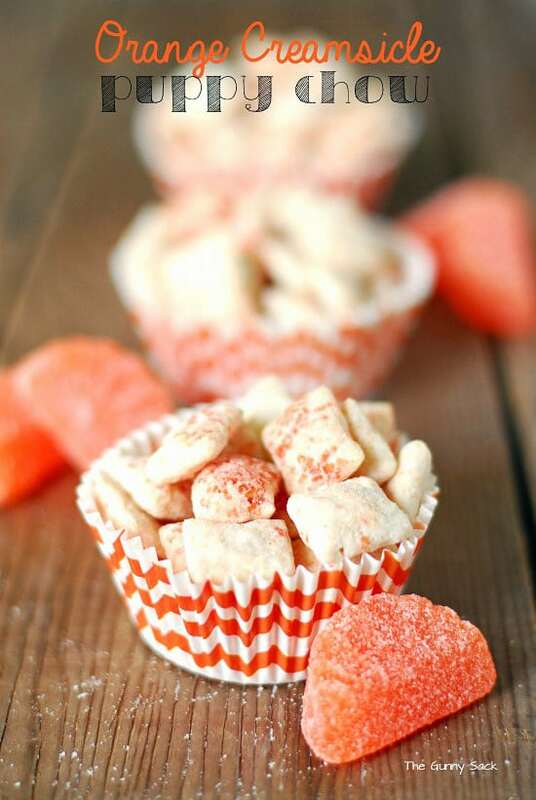 When I made my Root Beer Float Puppy Chow, I also made this Orange Creamsicle Puppy Chow, aka Orange Creamsicle Muddy Buddies. I served both of them at my Ice Cream Float Party. No one could really pick a favorite because they like both flavors. Puppy chow is perfect for parties or even for a snack. It is easy to make and very portable. You can increase or decrease the amount of orange depending on how much of the citrus flavor you want. Measure Rice Chex into a large bowl and set aside. Put white chocolate chips and shortening into a microwave safe bowl. Microwave for 1 minute, stir and then microwave for 30 seconds longer. Add orange flavored oil and stir well. Pour mixture over the Rice Chex and gently stir to coat. Put chocolate coated Rice Chex into a gallon sized ziplock plastic bag. Add the powdered sugar and orange sugar crystals. Zip the top of the bag shut and shake until the cereal is coated. Spread on a piece of waxed paper to cool. I know that McCormick makes an orange extract. Have you seen that in your area? You could also try using orange Kool Aid or orange JELL-O powder. Mix it with the powdered sugar to give it the orange flavor. Happy Baking! That sounds amazing and so refreshing; love it! Thanks Liz! I love puppy chow too! Love this idea. Any suggestion for a variation of Puppy Chow with red and blue ? This is such a fun and summery mix. I know my kids would devour either flavor down in no time!!! I love this Tonia!!! Orange, yum. Muddy buddies are my addiction! Thanks, Dorothy! I love that you can make any flavor imaginable! I love how summery and fun this recipe is Tonia! Yum! Thank you, Trish! We just picked up some bottles of ice cold orange and cream soda on Sunday and it tasted great in the hot weather! These look like summer. Thank you so much. This makes Puppy Chow even cuter! 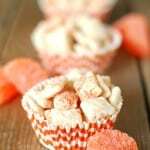 I love all the fun twists on Puppy Chow you come up with! Thanks, Julie! The options are endless, aren’t they!